If you are not yet familiar with this online community of artists, you must become quickly and intimately acquainted with DeviantArt. Boasting over 100 million creations, it is a cornucopia of graphics. 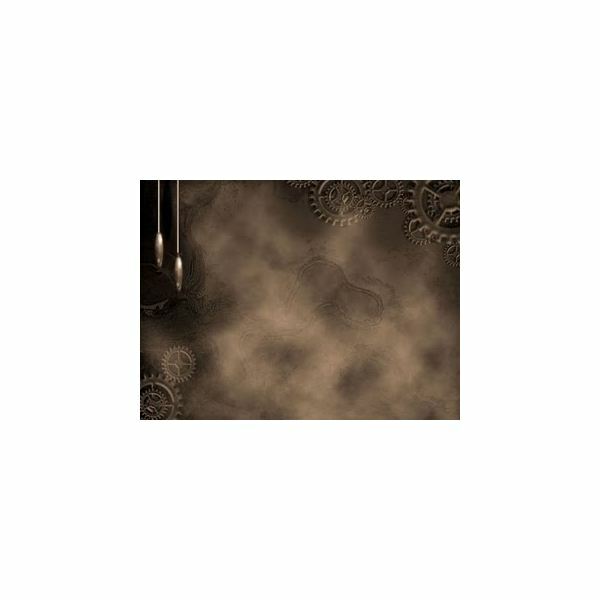 Searching "steampunk" on the site results in pages of offerings including the Steampunk Texture Pack shown here, which you can download as a ZIP file. 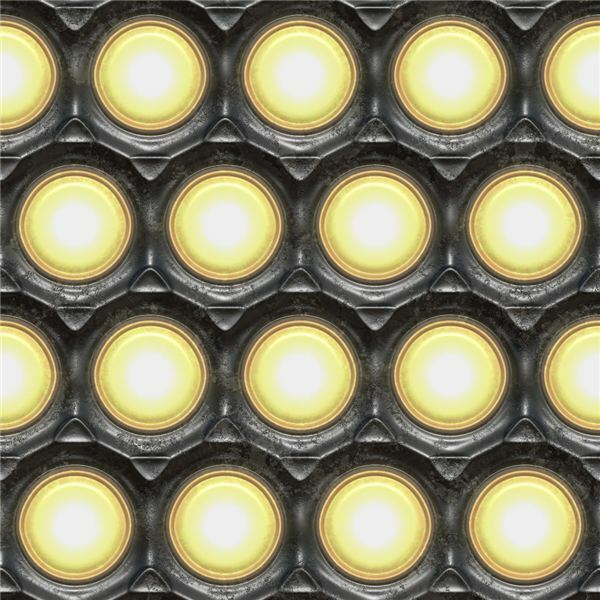 While these textures are not labeled "steampunk," many of the 30 free paper backgrounds offered here certainly are appropriate such as the Victorian songbook cover image or the taped paper background shown here. In a collection that they refer to as "10 grunge, rusty and dirty seamless textures," you might find the perfect image here. 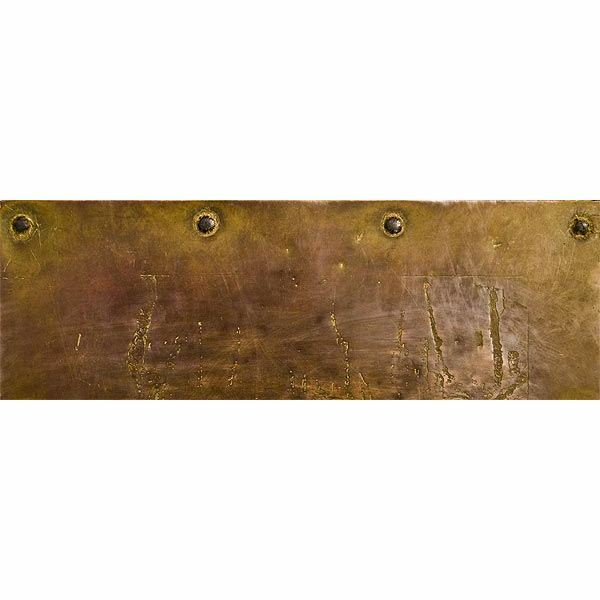 Images include tarnished fabric, paint peeling from rusty walls and circular lights in metal fixtures. To download these images, click on the one you want to use. Right-click and save it to your computer. Another collection at Photoshop Roadmap offers a generous collection of 60 free high-resolution images in a variety of designs, several of which have characteristics that suit a steampunk theme. 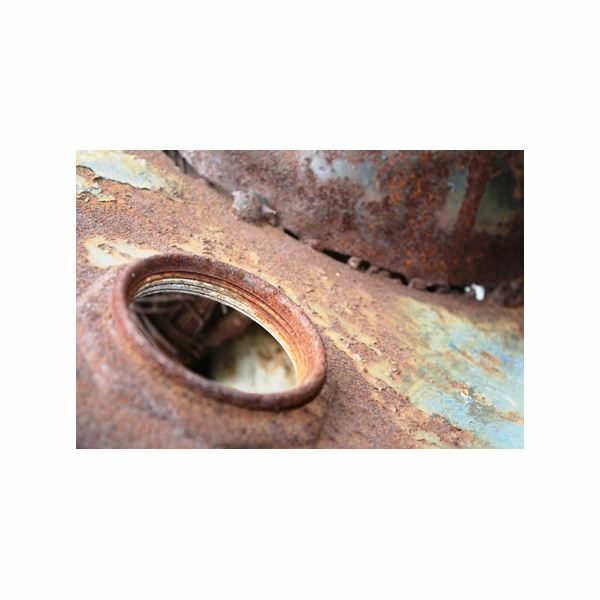 You will find riveted and rusted metal, aged paper, macro shots of gears and more. 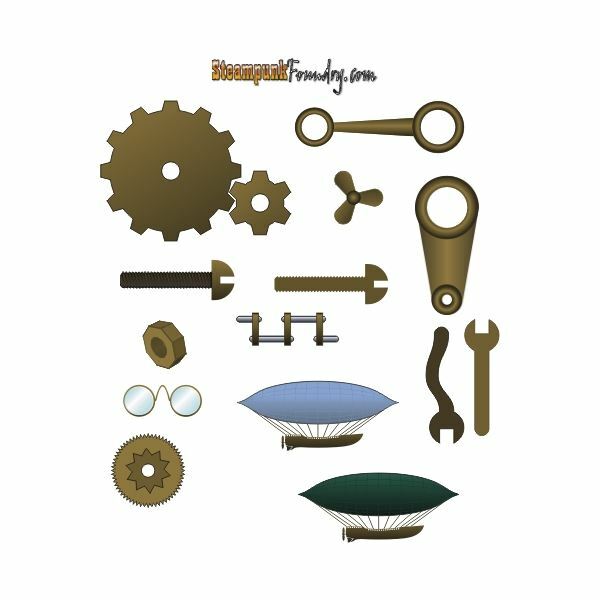 With a name like Steampunk Foundry, it isn't surprising to learn that this site offers clipart sets that might suit your purpose. 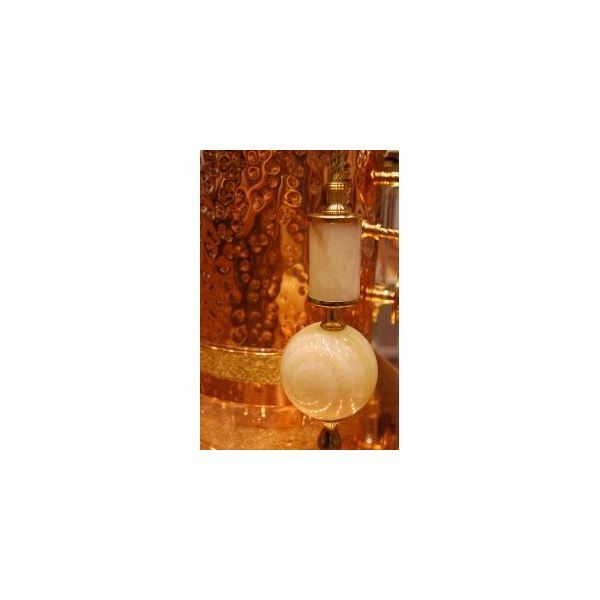 There are two complete sets that you can download individually or as a whole, with images such as gears, tools and blimps. A blog belonging to the Houston-based design team, Think Four, Think Design offers many graphic freebies including a 53-piece collection of high-resolution metal textures. While the 255 MB file might take a little while to download, the reward is a set of vivid, professional, rustic images. Another popular stock photo and photo sharing site, you can check out the images offered using Flickr's Creative Commons license. 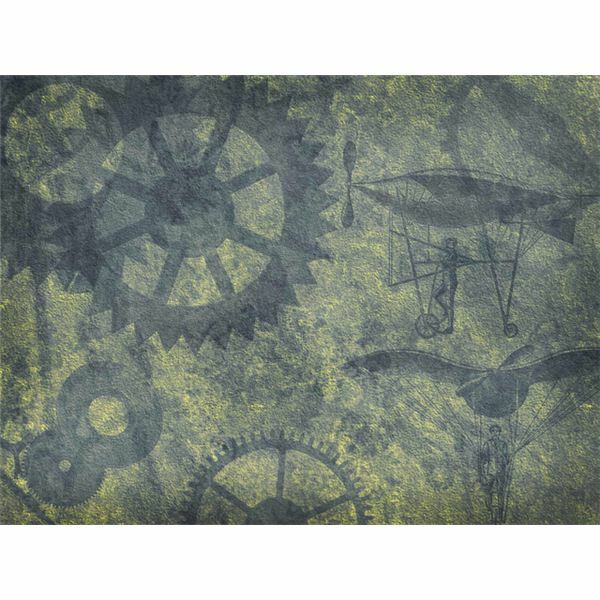 You will find pages of results when you search for images tagged with the word "steampunk," such as this fun texture displaying gears and flying machines. This blogger, crafter and lover of vintage papers shares many a free background with her readers, including a page of vintage themes that might be just what you are seeking. 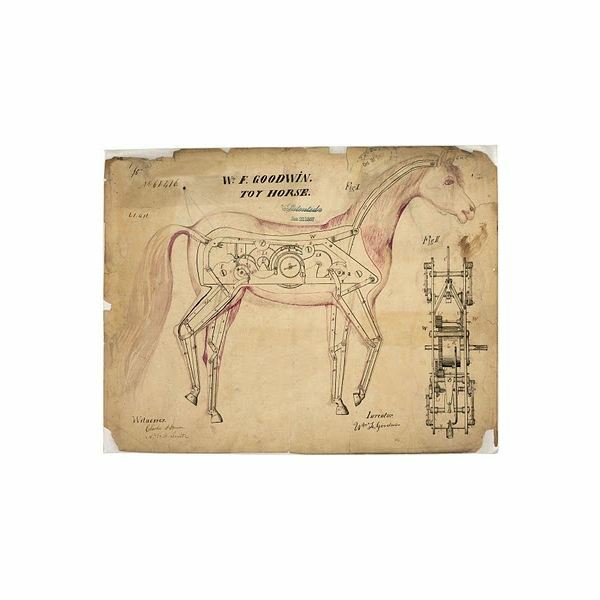 Be sure to check out her antique clipart graphics as well, including dictionary pages, pocket watches and hourglasses. Although the final offering to make this list is actually a collection of desktop wallpapers, you can certainly save the images to your computer to use them as backgrounds for your publications instead. 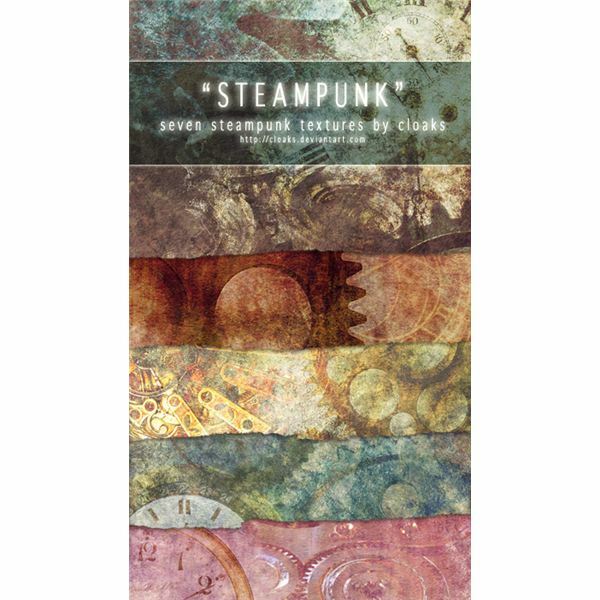 Themes include gear works, an atom clock and steam against a mechanical background. 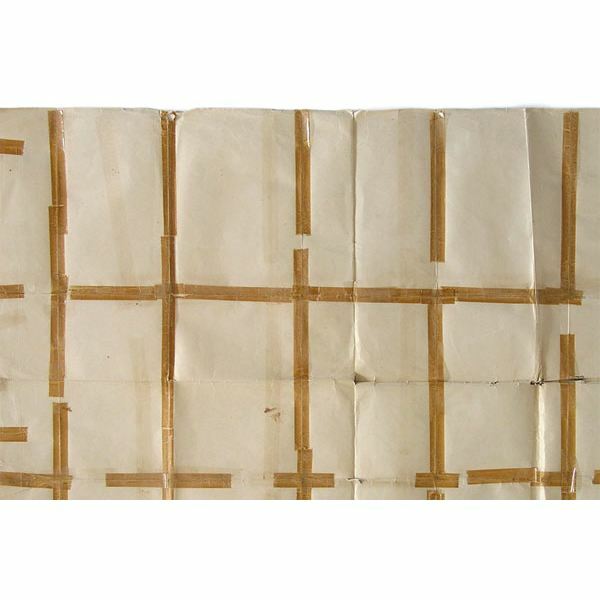 Screenshots taken from respective websites and are property of their original designers.